The win also means Fiji now have 123 points in the overall standings as they are positioned second behind USA, who claimed the bronze in the Hong Kong 7s that saw them accumulate 130 points while France had silver. Fiji looked comfortable from the outset as they claimed 14 unanswered points in the first half with Vilimoni Botitu crossing over in the fifth minute and Aminiasi Tuimaba followed the suit in the 9th minute. The second from HSBC Player of the Final Tuimaba came in the 12th minute as they increased their lead to 21 points that came France were awarded a penalty try. Livai Koroigasagasa also got the three conversions right for Fiji as they sealed a 21-7 win and more importantly their title win in this year's edition after victories in Cape Town and Hamilton legs. 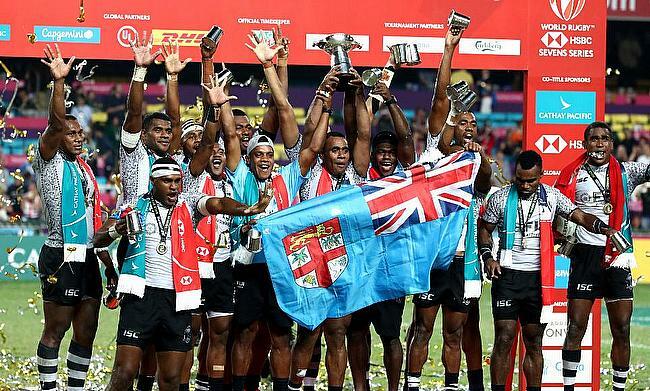 "It's a fantastic feeling and I'm sure that it will sink in over the next two or three days," said Fiji's head coach after the game. Earlier, Fiji defeated Argentina 29-24 in the quarter-final and followed it with a 19-28 win over USA to reach the final while France defeated New Zealand and Samoa in the play-offs to set up the final with Fiji. Meanwhile, Scotland defeated Japan 26-24 in the Challenge Final that came after they upstaged Australia 19-17 in the semi-final. The teams will converge next on 13th and 14th April for the Singapore 7s.